To abide means to remain or to live somewhere. I wonder how often we, as Christians, actually abide in the shadow of the Almighty? When I was younger, and my grandfather was living, I loved to be with him, to spend time with him and to be right up underneath him, no matter what he was doing. Especially, in the summertime, when it was hot outside, I remember stepping into his shadow and immediately feeling a relief from the heat. I felt safe and secure in his shadow. 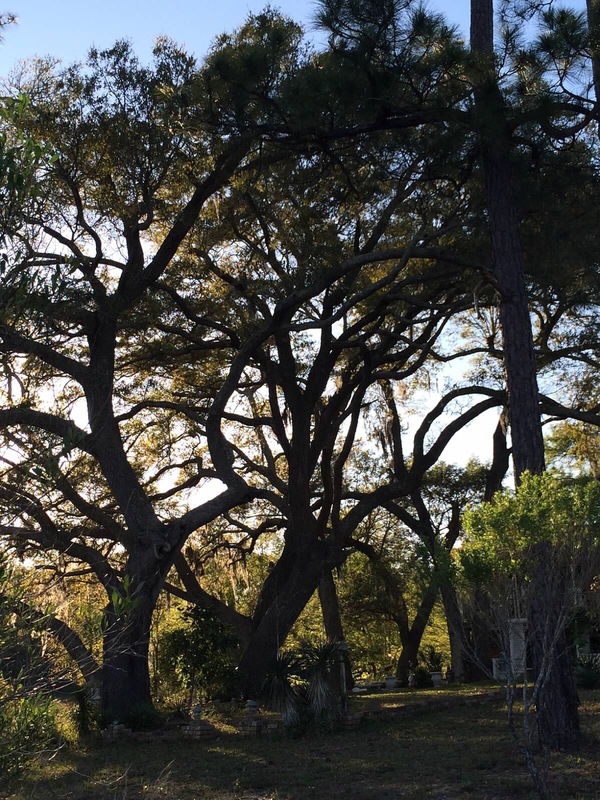 We had big live oak trees in his yard, and I can remember standing in the shadow of them and feeling protected from the coming rain. I remember feeling as if I could stay there for hours if they’d just let me. (My grandparents never allowed me to stay outside in the rain; it was too dangerous. 😉) Yet, under those big oaks, I felt like nothing could ever touch me! As I would gaze up into the branches, I felt as big as they were. I felt I could conquer anything! Have you ever met those ‘old saints of God’ who seem to have all the faith anyone could ever imagine to have? They seem to never get rattled, never battle fear, never have doubts and concerns about tomorrow. All they seem to talk about is how mighty God is and how wonderful heaven is. I long to have that constant outlook on life! I long to be at the place where my faith is so strong, nothing seems to shake me, nothing seems to cause me pause. Those elders don’t get to that place simply by attending church and having a good song service. They pay the price in prayer. They endure the hard times holding onto His hand. They learn to lean on Jesus when all seems lost. We get to that place only when we rely on Him despite what the world says or what the circumstances look like. We get there when we trust Him in the mundane and in the fiery trials of life, when it becomes a daily walk, a minute by minute abiding in His presence, not because you’re on your knees 24/7, but because you’ve created a sanctuary within your own heart and mind, where He is welcome and into which you run when trouble comes and then you stay even through the sunniest of days. This is the place I long to stay. This is the place in which I long to live. I want to dwell in His presence; so, I might live in His shadow. In His shadow, I feel peace. I feel security. I feel strength. I feel I can conquer the world! Thank you for sharing. I needed to hear that!